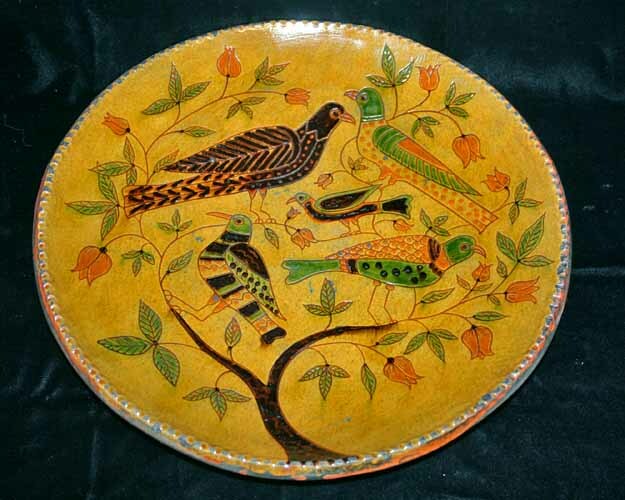 Greg Shooner and Mary Spellmire-Shooner re-create authentic redware pottery at their Oregonia, Ohio, studio, continuing the traditions of American potters dating to 1630. 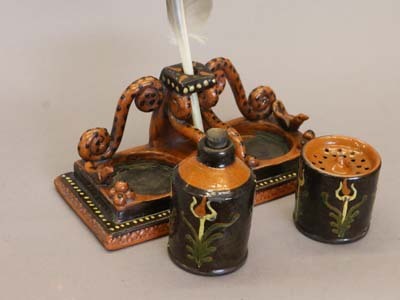 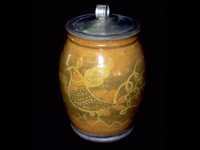 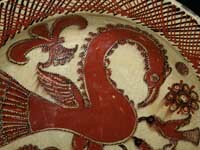 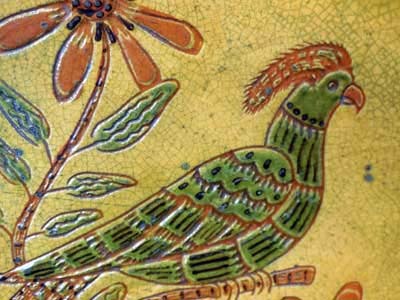 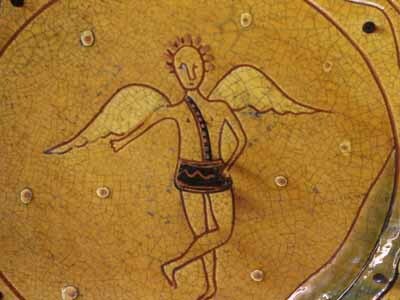 A lifelong interest in art led them separately to pottery, then together to the study of redware. 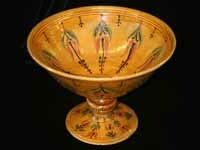 The Shooners use their years of pottery experience to make a ware that is unrivaled in its interpretation of rare antiques. 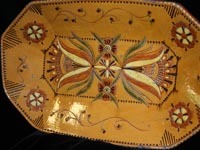 They work alone, with a passionate commitment to quality and artistic control. 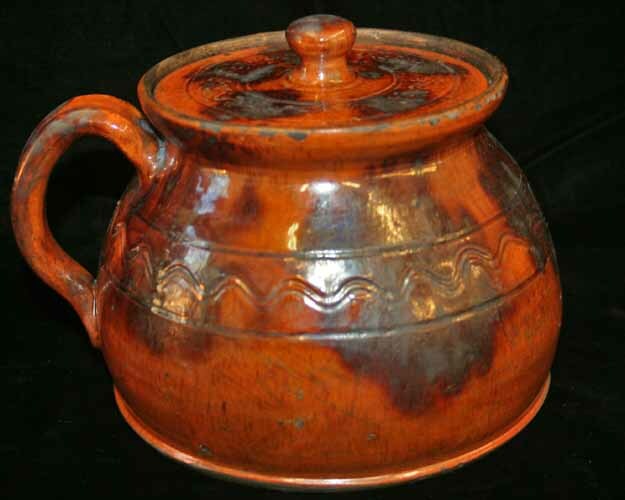 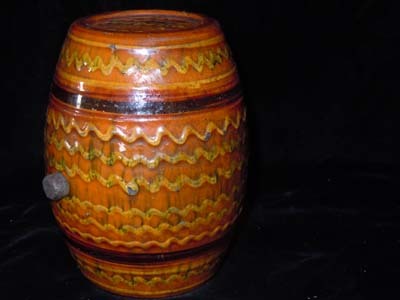 Redware is an earthenware pottery made from a red to pinking burning clay body, and it was among the first commercial products to be manufactured and used by European settlers in North America. 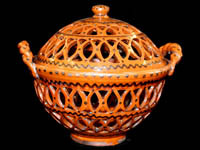 Its fragile nature and lead glaze rendered it obsolete as soon as an economically feasible alternative (variously salt-glazed stoneware, tin, or glass) became available. 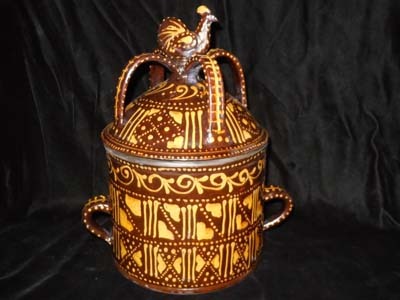 In the last two decades the Shooners’ work has benefited from a resurgence of appreciation for the warmth and beauty of this forgotten folk art. 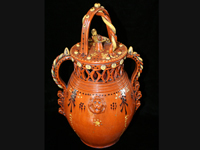 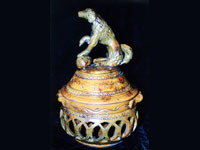 Sharing their knowledge and enthusiasm, they have often lectured and demonstrated their work at museums and conferences, including the American Ceramics Conference at Winterthur Museum, the Ceramics in America conference at Eastfield Village, the College of William and Mary, and New York University.